Computers now impact almost every aspect of our lives, from our social interactions to the safety and performance of our cars. How did this happen in such a short time? And this is just the beginning… In this book, Tony Hey and Gyuri Pápay lead us on a journey from the early days of computers in the 1930s to the cutting-edge research of the present day that will shape computing in the coming decades. Along the way, they explain the ideas behind hardware, software, algorithms, Moore's Law, the birth of the personal computer, the Internet and the Web, the Turing Test, Jeopardy's Watson, World of Warcraft, spyware, Google, Facebook, and quantum computing. This book also introduces the fascinating cast of dreamers and inventors who brought these great technological developments into every corner of the modern world. This exciting and accessible introduction will open up the universe of computing to anyone who has ever wondered where his or her smartphone came from. "Tony Hey has made significant contributions to both physics and computer science and with The Computing Universe he and his co-author share the knowledge and history that has inspired us all." "In this lavishly illustrated and refreshingly nonlinear introduction to the people, ideas, machines, and codes that ushered us into the age of computation, Tony Hey and Gyuri Pápay have assembled a comprehensive, authoritative, and nonpartisan account of how we got here, combined with much useful insight into how computers work and what may lie ahead. 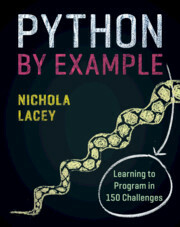 Although filling a conspicuous need for an introduction to computer science for nonscientists, all scientists - including computer scientists - will find this an illuminating book." "Tony Hey and Gyuri Pápay have produced a comprehensive and wonderfully readable guide to the field. The breadth of topics is amazing - from the early history of Babbage and Turing to topics of today, such as botnets and machine learning, to things on the horizon, including quantum computing and synthetic biology. Even an essay on computers in science fiction! There's something here for everyone, from the interested novice to the seasoned computer professional. 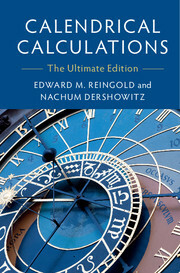 Each chapter is full of fascinating facts that lend texture and color to the evolution of this change-the-world field." "Tony Hey and Gyuri Pápay have made a major contribution to computing history. This is a must-read for fans of history in any field, and it will absolutely stand the test of time." 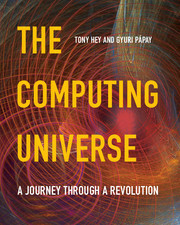 "The Computing Universe takes the reader on a panoramic journey through the world of digital computing. Using clear and nontechnical language, it explains the technological breakthroughs, the fundamental concepts, and the future prospects of the digital revolution. It is a work of considerable depth and scholarship, brought to life by many interesting historical vignettes and entertaining anecdotes." "I recommend the book as a highly readable account of the fascinating ideas of computer science and the fascinating people who invented them." "Eloquently presented in a style that assumes little in the way of technical background … this is a celebration of an astonishingly prolific period of technological development, and a book that could act as a gateway for a new generation of innovators and game-changers." 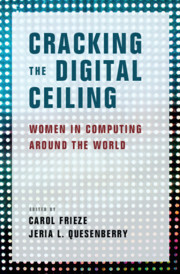 "This is a highly engaging book, which will be greatly valued by both computer scientists and the general reader alike. It fills a longstanding lacuna in the literature, ably covering the history and evolution of computers and computing, leading to the modern subject known as computer science. It shows how closely the development of computer science is interleaved with our wider understanding of the world we inhabit. 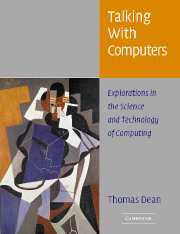 The book will undoubtedly prove to be a source of inspiration for future generations of computer and computational scientists." 17. Computers and science fiction – an essay. Tony Hey is Vice President of Microsoft Research and has published over 150 research papers on particle physics, computer science and multi-disciplinary eScience. 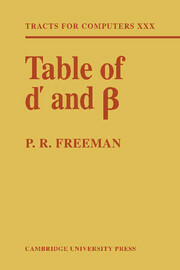 He is the co-author, with Ian Aitchison, of the graduate textbook Gauge Theories in Particle Physics (4th edition) and co-editor of Richard Feynman's Lectures on Computation. He is also co-author of popular science books on quantum mechanics and relativity, The New Quantum Universe and Einstein's Mirror. Most recently, he co-edited The Fourth Paradigm, a book about eScience and the new era of data-intensive science. Gyuri Pápay is a senior research fellow at the IT Innovations Centre at Southampton University, UK. His main research interests are high-performance computing, event simulation and numerical algorithms.